This game is adapted for little ones. Play it outside or in a spacious room. 1.Assign some students to be trees. They will spread out around the play area. When the game begins they will put their arms above their heads to form a tree. 2. Assign some students to be squirrels. Have one more student be a squirrel than the number of trees you have. For example, if you have six trees, you would have 7 squirrels. 3. Have one student be a fox. Each squirrel should stand next to a tree to begin the game. You’ll have one without a tree. When the teacher yells, “Run squirrels, run!" the squirrels must all find a different tree without getting caught by the fox. Yell, “Stop!" when most everyone has settled in a tree so that the fox isn’t chasing the remaining squirrel for a long time. Whoever gets caught or can’t find a tree sits out on the sidelines. To make the number of squirrels continue to be one more than the number of trees, change a tree into a squirrel. The fox remains the same till all squirrels are caught. Use the familiar “Duck, .Duck, Goose “ game to practice Spanish. Form a circle of students and instruct them to sit on the floor or grass. Choose someone to be it. That person gently taps each student as he travels around the circle saying, “Pato, Pato," (Pah-toe). When the student says, “Ganso!" (Gon-zoe) the ganso jumps up and chases “It". “It” must get back to Ganso’s place before getting caught. You can use a regular potato but I think it would be fun to invest in an Electronic Hot Potato! 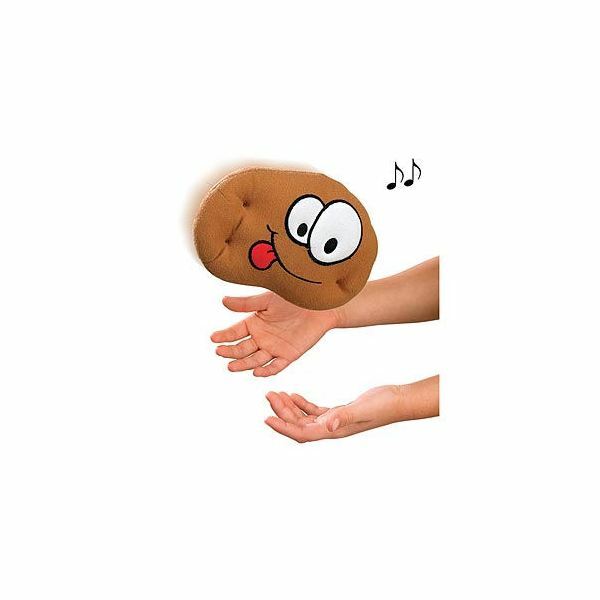 Pass the potato quickly around a circle of students (either standing or sitting) and when the music stops, the person holding the potato is out. To keep the “out" children engaged, randomly call certain rounds as “Friendship" rounds. Then the person caught holding the potato when the music goes off gets to pick someone to return to the circle. Take pictures of each child or have parents send in pictures. Make two copies of each photo (black and white is fine) and glue them to one side of a large white file card. Mix up the cards and spread them on the floor face down. If your class is large you may want to only use part of the cards but make sure you have matches for the ones you use. Now play a memory game! Each student takes turns turning over two cards and saying the name of the student whose picture is on the card. If it matches, they keep the cards. If not, they turn them back over. Encourage students to remember where the cards are. It will be easier remembering because they see the faces of their friends. When you have used the picture memory cards enough, take one picture card of each student and make it into a puzzle. Cut it into two, three or four pieces (based on student’s ability). Put each set of pieces into individual zip-lock bags. You may choose to put the uncut picture card in the bag with the puzzle pieces so that students will have a guide to show how to put the pieces together. Looking for more? Try some kids games online on protected websites. Toddler partner activities are also an option. With group games the main thing they need to practice is following directions and acting appropriately when they are “out" in a game. This is often new territory for the little ones. Praise positive behaviors. Don’t expect perfection. Just have fun!